A surreal white mosaic stretches across the heart of the Kalahari Desert. 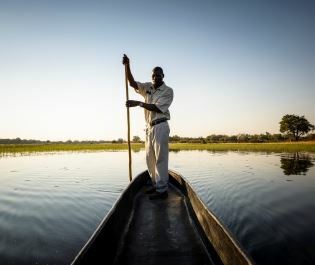 This was once Africa's largest lake; now it has become the world's largest salt plain. And it's never empty. Sometimes the experience is about losing yourself in the enormity of the wilderness and being confounded by the mirage. At other times, the Makgadikgadi Pans provide a remarkable setting for migratory zebra herds and a rich array of wildlife. 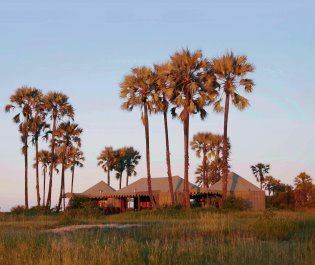 The experience in Makgadikgadi Pans National Park is truly unique. The scale always baffles. Sometimes it's just you, a guide, and a white landscape that dwarfs Switzerland for size. You can gaze across it from one of the camps. Or guides can take you on beautiful journeys across the pans, where you cook on an open fire and sleep beneath the desert stars. There are no roads here and the landscape is only punctuated by the ancient baobab trees. We've been spellbound by the freedom of travelling out on quad bikes, or by following barefooted San bushmen guides. Meerkats watch you pass, evocative animal prints grace the salt, and if you need to escape there's nowhere in Africa quite like it. The green season brings the Pans to life. But when the rains come you won't be alone. Water transforms the pans, transforming them with thick shoots of grass. The November to March green season brings a bounty of migratory wildlife and the landscape's openness makes it wonderfully easy to find. Elephant march onwards, impala skip around, and there are regular battles between hyena and jackals. Of the entire Makgadikgadi range, the Nxai Pan is rich with big game throughout the year, including both the herbivores and the resident big cats. When you visit, don't miss the opportunity for San bushmen trackers to teach you how to track animals in the wild. 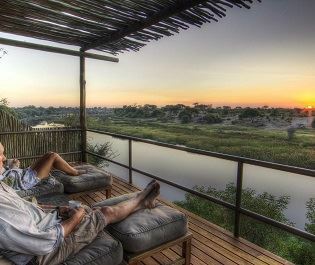 This is the perfect spot to watch great migrations. Second only in size to the great wildebeest migration, yet far less famous, the wet season also sees tens of thousands of zebra and gemsbok cross the fresh salt pans. This great zebra migration is an astonishing sight for anyone seeking a very unique wildlife experience. 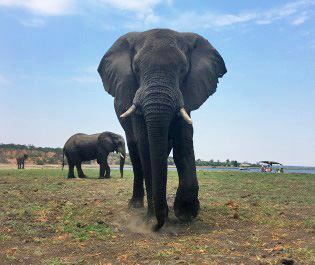 We can recommend many ways to get close to the action, including horseback safaris and mobile camps that follow the black and white strips across the green and white pans. 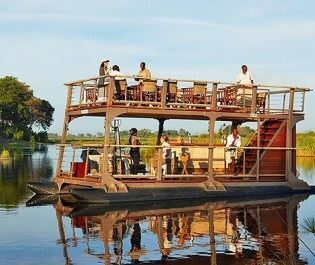 This is never a standard safari experience and that's why we're always returning. 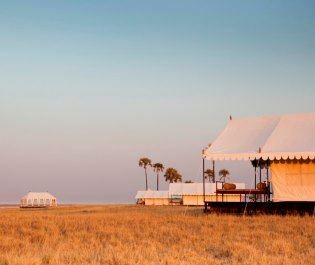 You just can't beat the sheer uniqueness and charm of the Makgadikgadi Pans.